As the next generation of jazz musicians get more experience, albums and live performances under their belt, its almost inevitable that they will record a big band record. In recent years we have seen it from Wynton Marsalis, Roy Hargrove, Dave Holland, Nicholas Payton, Joe Lovano and now Orrin Evans. With the Captain Black Big Band though, Orrin Evans has created more of a giant jam session than the Ellington, Basie, Armstrong homage. 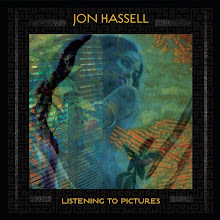 This is a live recording that is rich and festive in sound as well as collaborative in spirit. Originally a project developed for live performances at Chris' Jazz Cafe in Philadelphia, Evans combines the talent of young and elder statesmen into a surprisingly cohesive 38 piece ensemble. This live recording was recorded over three separate gigs throughout New York and Philadelphia during 2010. Orrin Evans, who has experience in big bands already as a member with the Mingus Big Band which plays consistently in New York City, put the group together to explore his sometimes complex but always entertaining and stellar arrangements. The name Captain Black comes from the pipe tobacco but also Evans memories as a child and his father, who smoked the Captain Black brand. He also used it for the title of his second album release in 1998 on Criss Cross records. This big band outing opens on the high spirited note of "Art Of War" (written by drummer and friend, Ralph Peterson) with some great solo work from Rob Landham. Solos throughout this session is something that Evans appears to be committed to. While Evans leads the group, he specifically wants to highlight the talents of individual members on the recording. The vibe on this record is definitely a party atmosphere and that continues with "Inheritance", a piece that vibrates and swings with propulsive solo from Todd Marcus (bass clarinet), whom also arranged the piece. In addition, Walter White (trumpet) and Anwar Marshall (drums) star with powerfully dynamic solo work--especially Marshall towards the end of the piece. Evans playing is understated on this recording (he also includes two additional pianist, Jim Holton and Neil Podgurski) but you do get a great sense of joy and excitement from these live sessions which particularly puts the listener in the front row of what must have been some really smokin' performances. "Easy Now" (originally from the Evan's 2004 album of the same name) is a somber but expressive piece. This live big band version is gives that melodic ballad a bit more breathe but retains the overall emotional effectiveness of the piece. "Easy Now" does see Evans taking more of a prominent role as his playing in vital to the piece. The solos from Mark Allen on sax and Tatum Greenblatt on trumpet are beautiful and carry a deep emotional resonance. The closing number "Jena 6" is a killer piece. Featuring Jaleel Shaw (sax), who is quickly becoming one of the more explosive saxophonist of the next generation, delivers a blistering statement of intent that should really get wider attention from jazz community. 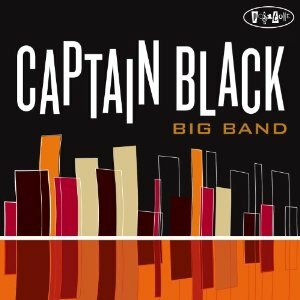 The Captain Black Big Band really doesn't feel like your average big band session. For as many members included on this date it feels more like a quartet or quintet. Instead of Ellington or Basie you'll reminisce on Blakey and the Jazz Messengers. All the members are in unison and keep the direction and vision of its creator, Orrin Evans, who definitely has sense for structure when its needed and freedom when it demands. 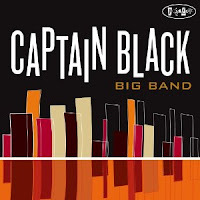 The Captain Black Big Band should have huge appeal for everyone.